The award-winning educational tech toy start-up, Tech Will Save Us has launched a range of new DIY coding kits. 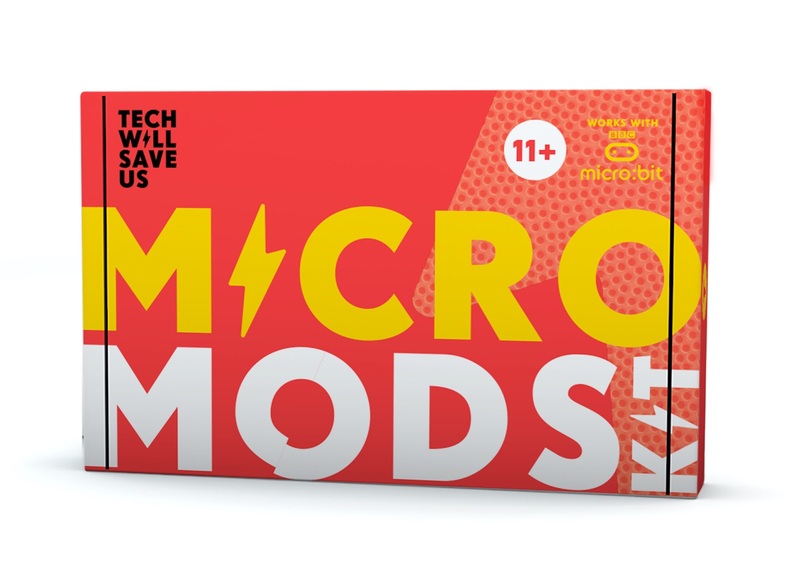 The new kits include the Kickstarter funded Dough Universe set comprised of three kits which are available as a set or separately, and companion kit to the BBC micro:bit, micro:mods. 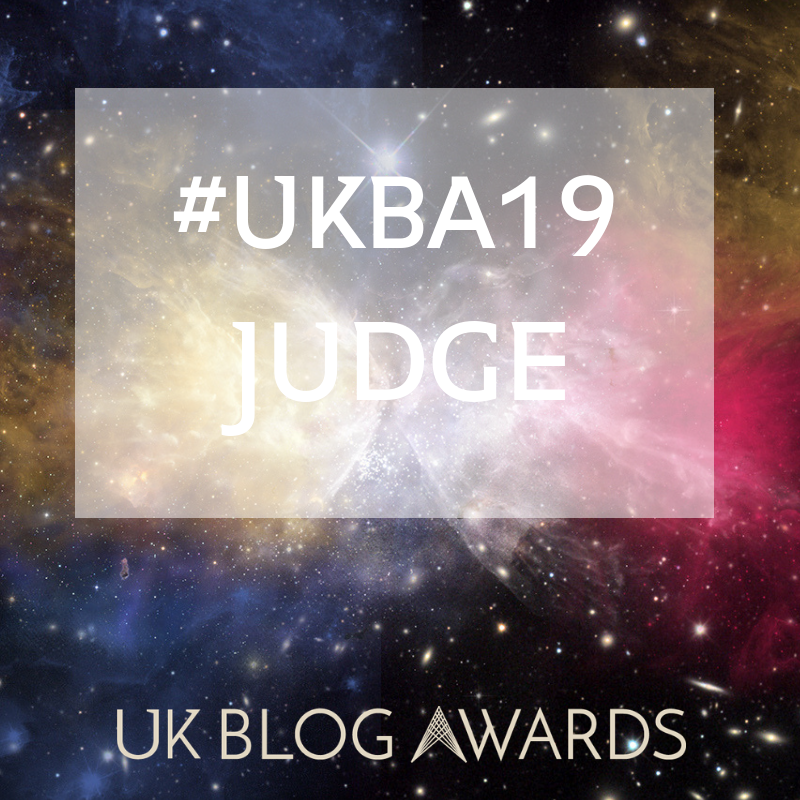 To promote the products, they have also created their first ever campaign, ’Side Effects’, which demonstrates the potential side effects that Tech Will Save Us toys will have on kids lives, including creating a robotic gang and an innovative spin on pet transportation! You can see the video here: https://vimeo.com/243816081… It’s really cool! 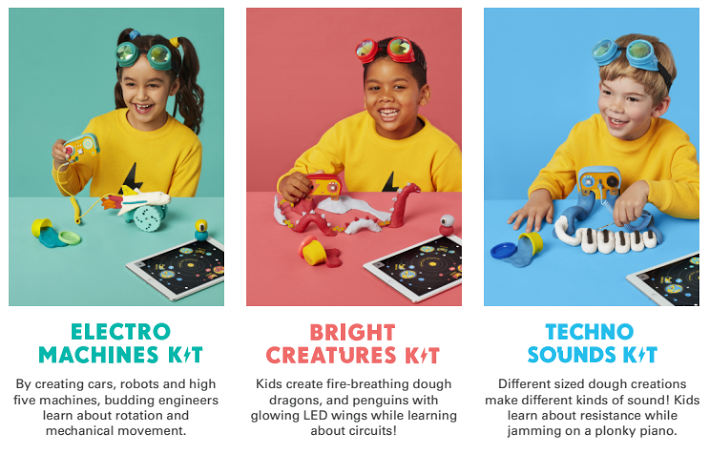 Comprised of the Techno Sounds Kit, Bright Creatures Kit and Electro Machines Kit (sold together or separately), Dough Universe teaches kids ages 4-7 about electronics through good old messy play. The kits use conductive dough and basic circuits to teach the fundamentals of electricity through light, movement, and sound. Each kit retails for £39.99 or £107.99 as a set. Squishy Sounds Kit - Get your dough playing to its own tune. With this kit, kids can build keyboards, drums, and pianos and will learn how electricity creates sound. Bright Creatures Kit - Make your dough creations blink, light and flash up with LEDs and buzzers. Kids can mould weird and wonderful creatures like a fire-breathing dragon or a snake with light-up scales. Electro Machines Kit - Make your dough creations spin, roll, and move. By creating cars, robots and high five machines, kids learn the basics of how mechanics work. Let your kids’ imaginations soar by creating their very own flying dough helicopter! I was lucky enough to receive a sample of a Micro:Bit and a very savvy Dad, Stuart Garner, kindly done a brilliant review for me. Please see below how Stuart got on. I have worked as a computer programmer for over 10 years in the educations and games sectors. For a number of years I commuted into London but eventually got tired of travel and being away from the family so took a job close to home. I love all things technology and spend many hours discussing science related stuff with my 8 year old son, who often knows more than me. Still unsure of what it actually did, I received the package with excitement and I immediately opened the box labelled “Open First.” As a professional I thought it was best for me to have a good play with the item before letting my son loose with it. Its was important for me to understand its full potential and, besides, he might be better at programming it than me so I needed a head start. First impressions were that it was a lot smaller than I imagined it to be. The box is slightly bigger than a cooks match box and the device itself is about half the size of a credit card. I managed to resist the usual temptation to just plug it in and see what happens. Instead, opted to follow the instructions. Luckily for me the basic steps are outlined on the inside of the box and you can have the device ready in under a minute. You have to play a couple of very simple games and press the input buttons in the correct sequence. To my surprise and pleasure one of the games involves tilting the device around so that one LED moves across the display to meet another static LED. It took me a few seconds to realise thats what I had to do but it was a tantalising glimps into the abilities of this diminutive circuit board. With my curiosity spurred on by this I decided to find out exactly what I had in my possession. I headed to the MicroBit web site which I found was a little ambiguous at first but after a sort while it became clear. In a nut shell the Micro:bit can be thought of as a programable sensor rather than a computer. It comes loaded with a thermometer, accelerometer, light sensor and compass. User interaction can be captured with the two simple buttons, the accelerometer or expanded with he use of the “pins” which are copper plates at the bottom of the device. Output can be sent to LED array between the buttons or transmitted via bluetooth to a smartphone or iPad. Most importantly though the devise can be programmed to use any of its features to perform various tasks and it can be used to control other external devices via the pins. So now with this knowledge and a working MicroBit in my hand I wanted to know how to make it do what I wanted. 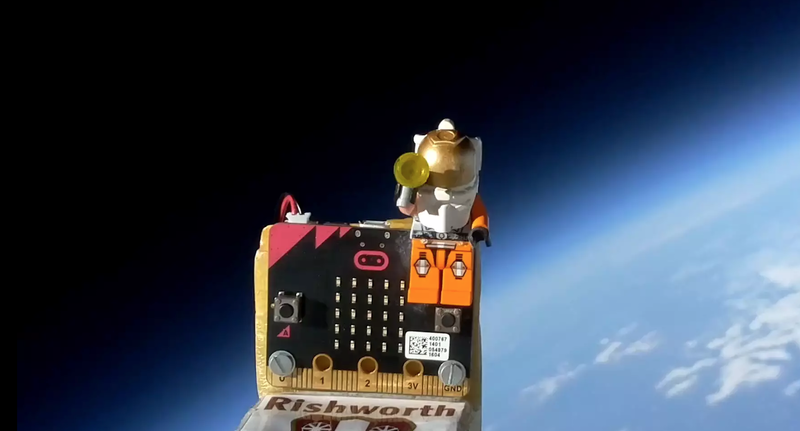 The website make its easy to get started with customising your MicroBit. There are clear instructions that get you up and running in a few minutes. The real power and learning potential of the equipment becomes clear once you explored the coding tool which is introduced to you though a few basic coding examples. This might sound scary but it is actually quite simple. The too is an application that allows you to drag and drop sections of code to build simple programs that can then be sent to your Micro:bit to perform. 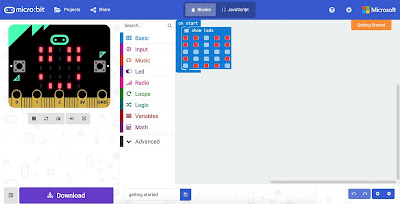 A nice touch is that you are presented with an emulation of the Micro:bit so you can see your program in action before you send it to your device. That way you can be sure that it will work and not break anything. In fact, if there is an error in your code the emulation shows you a sad face an prompts you to look for the problem. At this point it is quite simple to get the device to perform some very basic tasks and you need no prior programming experience. There is a simple onStart code block and pretty much anything will start to work if you drop it into that. For example, adding a text string to it produces a scrolling message sent across the LED’s and once you have run out of comical messages to write you can quickly start to get some basic interaction with the buttons. At this point I decided that it was time to explore the Micro Mods set that came with this Micro:Bit. This consisted of a light strip with about 24 colour changing LEDs and some other components. Instructions on how to set this Mod up can be found online and are incredible easy to follow. 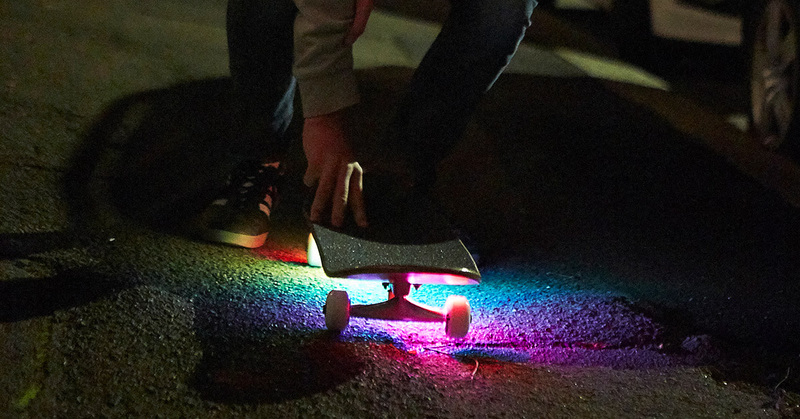 It comes complete with some pre made code that you can download in order to enjoy a demonstration of what the light strip can do. It was at this point that I, reluctantly, let my son loose with the device. He is 8 years old and it only took him a few minutes to get to grips with the basic features. He quite competently managed to get the strip to change colour and, more impressively, worked with delays so that the strip would cycle through the changes at a pleasant pace. He did all of this with very little input from me. Awkwardly for me, he soon started to ask questions about some of the deeper coding concepts. I found myself trying to explain some of the core coding ideas that I use every day, but you don’t appreciate how abstracted they can be until you have to teach a child. After trying to verbally explain features like variables and loops and seeing my sons blank faced reaction I was grateful I had the coding tool to assist me. It was a big help, as I could quickly demonstrate how something worked and he could play with it without fear of breaking anything. Before long he was asking me to do things even I didn’t know how to do. I quickly resorted to the “why don’t you look that up?” retort to get me off the hook. My son and I have only just scratched the surface of what you could potentially do with the Micro:bit. Teaming it up with other devices expands it even further into something that can perform useful task rather than just pretty experiments. However, the more advanced you get the more complicated it becomes. 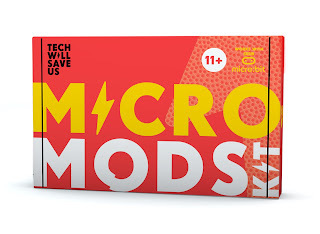 Anyone without a background in computing can get something out of the Micro:Bit but you may start to struggle when it come to the more complex things and certainly an 8 year old would find it very difficult. But to be fair the device is really aimed at secondary school children and 14 year olds these day probably know more about programming and electronics than I ever will. The beauty of this device is that its not just a tool to teach programming skills. Because of its array of sensors it can be lend itself to all sorts of activities and can be used to introduce technology into subjects such as geography, languages and even art. Its is not exaggeration that your imagination is the only limit. 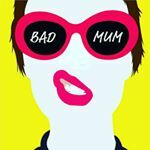 Initially I was a little apprehensive but after working though a few tasks and introducing it to my son I can see the potential of this device. My son really took to it. More so than I thought he would and he got to grips with programming with ease. The online resources are excellent and probably have some of the most thought out well designed instructions I have ever seen. While the Micro:Bit is aimed at older children who will get a lot more out of it there is still plenty a child of 8 or even a bit younger can get out of it, though, you will have to be more heavily involved yourself so be ready to be asked some complex questions.